I haven’t posted in a while because I was in Montreal enjoying some northern exposure last week. I arrived back in Minneapolis to even worse weather than in Montreal (which is saying something), and also some interesting and massively positive news from Capital One. I’ll write about my Montreal experience soon, but in the meantime, wanted to reflect on the Capital One news. I no longer hold any Capital One credit card products, nor am I incentivized to advertise any of the bank’s (or any bank’s) products. With that said, I’m a huge fan of their points as almost mandatory options for most travelers, and believe Capital One’s miles have been very under valued as a currency from most points blogs. This news pushes my excitement and already high opinion of the program to new highs. To top off the transferrable points news, Capital One said that it would allows customers to transfer points to these airlines at a rate of 2 Capital One miles to 1.5 partner airline miles. Put another way, for every 4 Capital One miles earned, 3 can be transferred into partner airline miles. Capital One also said that it plans to add more transfer partners (guessing that will include hotel partners) on a in the future. In case you didn’t know, there’s a brand new new podcast from The Points Guy (TPG), that details some of the Capital One news with a sit down chat with one of the program’s managers. The second Capital One announcement was enhanced, and nearly ridiculously high, sign up bonus offers for the Spark Cash and Miles cards, as well as the Venture (personal) rewards cards. In other words, for spending a total of $50,000 in 6 months, you get $2,000 in cash in bonus money. However, don’t forget that you’re earning 2x on all purchases with this card so that $50k in spend becomes an extra $1,000 ($50k x 2x) which equates to a grand total of $3,000 in cash for meeting the $50k minimum spend threshold in 6 months. On top of the cash bonus opportunity, the $95 annual fee is being waived for the first year too. Similar to the Spark Cash card, for spending a total of $50,000 in 6 months brings in 200,000 Capital One miles in bonuses. However, you’re also earning 2x on all purchases with this card so that $50k in spend becomes an additional 100,000 Capital One miles ($50k x 2x) which equates to a grand total of 300,000 miles for meeting the $50k minimum spend threshold in 6 months. Those 300,000 miles could be used at 1 cent per point (cpp), worth $3,000 in travel, or 200,000 airline miles with one of the 12 new airline partners. It nearly goes without saying, that with 200,000 airline miles, you can have some massively significant flight redemption with any of these 12 airline partners. Obviously some airlines, destinations they fly to, and award charts are better than others, but 200k miles is a lot of miles for fully completing a sign up bonus. That equates to a 6% return on spend. Like the Capital One Cash card, the Miles card is waiving the $95 annual fee for the first year. Normally the Capital One Venture is offered with a baseline sign-up bonus of 50,000 miles after meeting the minimum spend. That offer has been raised to 75,000 miles after $5,000 in spend in 3 months. Once again, at a 2x earn rate, that’s an extra 10,000 miles, bringing the grand total miles earned to 85,000. That 85k miles equates to $850 in travel expense statement credit cash, or 56,667 airline miles with one of the new 12 airline transfer partners. The $95 annual fee is again waived the first year, and the card also earns 10x on Hotels.com purchases. The card has no foreign transaction fees, and a TSA PreCheck/Global Entry credit. I view Hotels.com as a bit overpriced in general, so even at a 10x return, it’s not that enticing to me. I also use Airbnb (and even hostels) much more than Hotels.com. I could also achieve 5x Ultimate Rewards via any of the Chase Ink card products at Staples via Hotels.com gift cards. With that said, the complete benefits for the Venture card in the first year are really remarkable considering there isn’t an annual fee. Spending $50,000 in 6 months is probably quite daunting for most people in and outside of the points sphere. An even bigger obstacle for getting either of these cards are Capital One’s rigid rules for applying and holding any of their products. I’m probably at 13,649/24 (referring to Chase’s 5/24 rule…tongue in cheek), meaning that I have applied for a bazillion rewards cards in the past 2 years. Capital One isn’t happy appy (application) friendly, meaning that they don’t like to see a lot of credit card applications on any of the credit bureaus when deciding on a possible approval. Credit card churners and people applying for significant amount of rewards cards in the past year are likely going to have difficulties getting approved for any of these Capital One products mentioned in this post. Several months ago I tried applying for Capital One’s Venture card, and they quickly passed on my business. I don’t blame them though, I would have too! I doubt that I’ll be able to get any of these cards soon, but Capital One seems to be in the transferrable partner game for real, and I think the program will only improve (and not degrade like Barclays transferrable points attempt). This news is a surprise for me, but in line with where I’ve viewed Capital One’s program (which I believe to be much higher than most points bloggers). The end goal of most points bloggers seems to be splashy awards like business and first class cabins and apartments in the sky, high end hotels in exotic locales. That’s fine, but my end goal is to travel for free, or as well as possible for as small of an out of pocket amount as possible. I therefore value points currencies like Barclays, and especially Capital One, that can cut down on general travel expenses, as hugely significant to reach my end goal. 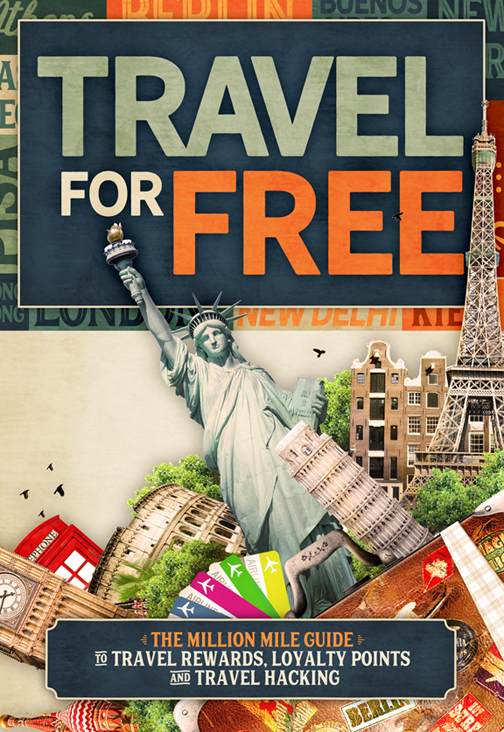 It’s also a program that I’ve written about pretty comprehensively in my forthcoming book “Travel for Free”, which I hope to release sometime next year. The book is taking so much time to edit, and with major news like this continuing to pop up, even more changes are necessary. For those of you who’ve enquired about the book, please be patient, sorry. I think the main reasons that Capital One undervalued by many points bloggers over the past couple of years is that 1) other reward points and miles can provide more upside or redemption “value”, and that 2) Capital One pulls all 3 major credit bureaus for any credit card applications, and 3) bloggers are probably not as financially incentivized by Capital One (for clicks and application approvals) compared to other banks like Chase and Amex. I don’t actually know if that last point is true, it’s just a hunch/guess. I also don’t view the 3 credit pulls to be that substantive of an application deterrent either vs. the rewards and points earned. This news from Capital One is huge, I just wish I could participate in all the fun. Hopefully in a year Capital One will let Rudolf play in the reindeer games.